Time To Surf Without Windows? Is Ubuntu The Answer? Just to be clear – there is no doubt that the Internet can provide a rich educational and cultural experience, at a minimum, but at the same time, it is virtually impossible for Microsoft Windows users not to be exposed to the underbelly of the Internet. The sad reality is, that most of my friends (as I explain to them), are just like the majority of computer users who are undereducated when it comes to recognizing the dangers, and threats, that the Internet poses to their computers, and to their personal privacy. Most cyber security vendors will tell you, that a little common sense, a properly configured and updated system, coupled with their antimalware software will keep you safe on the Internet. Don’t believe it. Cyber crime has undergone a fundamental change this past year. Much of today’s badware is smart enough to probe a system, searching out vulnerabilities in either the operating system or installed applications, with little or no interaction required from the user. If you’re tired of having to consider whether the antimalware applications running on your system are up to the task of protecting you against cyber crime: identity theft; email scams; system penetration; viruses, spyware; adware; rogue software; web site spoofing; social media scams; erosion of your privacy rights; denial-of-service attack; then you need to start thinking outside the Microsoft Windows box. I’m not a Microsoft hater – in fact, I love Windows, and I have been on board since Version 1.0. But, there’s no denying, that based on Windows installed base (well over 90% of the PCs in the world operate using some version of Windows), cyber criminals have seized the opportunity such a large market presents. Current statistics indicate that over 95 percent of viruses, spyware, and other types of malware, are designed and targeted to attack Microsoft Windows. I’m not laying the blame at Microsoft’s door – third party application developers could do much more to ensure their applications are hardened against cyber criminals. So, is it time that you took yourself out of this cyber crime market? Is it time for you to consider using an alternative operating system, while you interact with the Internet? And, if you are leaning this way – what operating system should suit your needs? Since having to learn the fundamentals of a new operating system is a legitimate dissuader for most people, when faced with the question of the feasibly of changing to an unknown operating environment, familiarity in terms of the look and feel of the new system is of primary importance. Ubuntu, an open source operating system, arguably the most popular distribution of Linux, has the look and feel of a Windows installation. I recently installed Ubuntu alongside Windows 7 Ultimate, which allows me to choose which operating system I want at Boot, and I haven’t been on the Internet since in Windows. Windows however, remains important to me since so many of my offline applications are Windows specific. One fundamental difference you will observe immediately when using Ubuntu is it’s blazing speed. The following screen captures indicates just how easy it is to install Ubuntu to run alongside your Windows installation. Be sure to choose the right installation from the selection. The following screen capture shows the Ubuntu install on my C: drive. 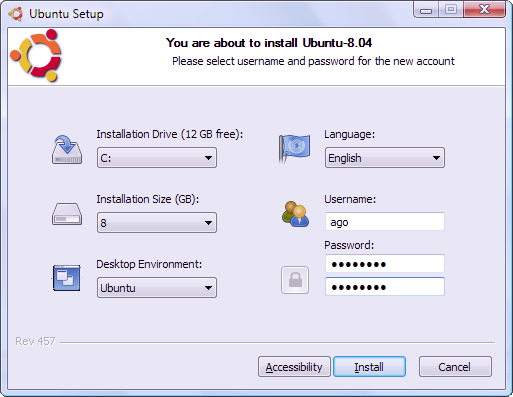 Installing Ubuntu in this way, is dead simple – no partitioning or any other esoteric steps required. So what does Ubuntu look like when running? The following screen shots show just some of the possibilities. Ubuntu installs with all the applications you are ever likely to need, but it doesn’t stop there – there are literally thousands of applications readily available through the built-in Software Center. No more searching the Internet for free applications, and having to download from questionable sites. I’m not suggesting for a moment, that you replace your current Windows installation – although, you may choose to do so when you experience the power of Ubuntu. Instead, I’m recommending that you interact with the Internet using Ubuntu in order to substantially reduce the risks Windows user have to contend with. Note: A follow-up full review of Ubuntu is in the works, and should be posted here in the next week, or so. My windows vista used to take ten minutes to fully load, no joking and then it still dragged its feet. Ubuntu loads in less than a minute, it’s unbelievable! Shame-faced smiles not allowed. 🙂 As you’ve noticed – Ubuntu really is blazingly fast. I have your private email which I’ll respond to later, this evening. I’m on an attached device at the moment while I soak up some rays, but I’ll get back to you. You’ve always given me excellent advice so I followed it here as well. This is amazing! I can hardly believe how easy it is. I wish I had done this long ago. It is pretty amazing alright. And free should suit every one’s budget. Your blog is the most concise security blog we have. We also appreciate your tone. Does this supplant or negate your previous suggestions involving GeSWall and Wondershare Timefreeze? Unless I have some unforeseen monster stalking my 7 O/S, we detect no issues since installing and running just these 2 with Windows Firewall. No anti-malware, no anti-spyware, no anti-virus, no other firewall. We too have tired of the constant necessity of updates and scans leading to our current strategy. Sadly, Linux, even with Wine, simply doesn’t function with some Windows-based tools essential to us. This includes Ubuntu, Firefly, XPUD, numerous Puppy versions, Tiny Me, Goblinx, Sabayon, PC-OS, Mint or NimbleX. While several of these are some of the prettiest & fastest O/S’s we’ve ever seen they either (1.) can’t see wireless out of the box or (2.) can’t support a single scripting tool critical to us. We’ve never found one substitute. I hear what you’re saying, and I’m in the same boat; at least for now. I have no choice really, I need Windows just as you do. For those of us that need Windows – applications such as GeSWall and Wondershare Timefreeze, are a critical part of an overall security strategy. To reinforce what you’re saying – just today I had a reader who had to deal with the Linux wireless issue. Still, given time, and if certain LInux proponents would stop with the geeky BS (which i suspect scares off loads of average users), I can see Linux making headway in the OS market. I’ve tried many distributions in the last years and I always ended up at Ubuntu. The sad fact is, that after a few days I switched back to Windows, just because of a few games which didn’t run on linux. But know I’m using 10.4 since 2 weeks and it’s that fast and stable that I don’t want to use windows again. There’s an open source app for every windows app I’ve used and in case I really need a windows client I’ve got Virtualbox. Like you, I’ve tried a bunch of distros, always on a Live CD, but they just didn’t come up to my standards for an OS. I’m having the same experience that you are – I haven’t been in Windows today at all, and I’m not missing it. I’ll keep Windows on my HD but, I can see the day coming when I’ll delete it. Welcome to the party, the waters fine! Ubuntu has come a long way since I first ran 6.04. The latest version is a great iteration and will be a long term support build. A fantastic program I use to boot into Linux on a thumb drive is Pen Drive Linux over at http://www.pendrivelinux.com/. This makes it a snap to build a bootable build of your favorite Linux distro on a thumb drive, and the awesome part is: You can make it so it saves your changes as you go. Unlike a Live CD which has great security benefits for logging on to secure sites, having a “living” build of Linux you can keep in your pocket is a great way to securely surf wherever you are. Another benefit when you use a quality thumb drive is it will be very fast to boot and perform great on any hardware even a netbook. few that make living with Linux much easier than it use to be. I’ve been using DSL (Damn Small Linux for those who are unfamiliar), for years, but Ubuntu 10.04 is the first actual install, and I couldn’t be more pleased. It’s everything that Linux should be and as you point out, there’s long term support. If I’m remembering correctly, until 2013. As always, you add enormously to the conversation, and your advice on the Pen Drive Linux is sure to be a hit. Amazing that the operation can be done from within Windows. You can be sure I’ve already downloaded this. Linux is not safe, it is just less targeted (because so few people use it). What would you chose: a OS that is always under atack but where you can install an array of security apps; or a OS that is occasionally compromised but when that happens you don’t realise it, and if you do there’s nothing you can do about it? Lots of people will tell that Leopard (Mac) will not infect: yes it will! They just don’t notice. For God sake, huh? You have a disagreeable tone – not the first time I’ve noticed that in your comments, so I’ll respond in kind this time. Occasionally, we get a comment here from a self styled “expert”, who thinks he knows what he’s talking about, and disagrees with seasoned and mature users who have already commented, who, in his view, know nothing. In this case, it’s you Jose – and not for the first time, I might add. I know each of the people who have commented to this point, and I know that they ARE EXPERTS. You, on the other hand, are one of those self styled “experts” who pushes out the same arrogant nonsense that Linux is safe ONLY because of its small installed base. Not that you know this – but you have read it so often that you believe it. That tells me you have very little experience in working with systems, and you certainly have no idea how Linux is coded. Are you even aware that Linux Servers rule the Internet? You might ask yourself why that is. You’re telling me that “an array of security apps”, as you put it, will protect a Windows installation from known and unknown security threats. An indication that you’re understanding of programming is poor, and your system experience level is low. I’m curious to know how many infected systems you got paid to work on in the last 12 months, either at a personal user level, or at the enterprise level? And how, in your expert opinion (if in fact you worked on any such machines – which I doubt), the systems got infected. Given, that in your vast experience, all it takes is “an array of security apps”. I suspect that you’re a 20 something, and so, you know everything there is to know about computers – but you don’t. You think you’re a high end user – but you’re not; one of your previous comments showed me that. You think you can start a comment with “For God sake!” and that not only is that acceptable, but that you can then craft a convincing argument which will gain people’s attention – but you’re wrong. Even a limited understanding of human nature would teach you that a comment like that puts people on the defensive. If you want people to listen – learn to be polite. Polite comments are always welcomed here. Polite comments that disagree are always welcomed here. Comments like yours “For God sake!”, are better suited to a web site where people can make unsupported arguments in ways that piss people off. Just like your “For God sake!”, pissed me off. Do me a favor, take your business elsewhere. You’re one of 3,000+ daily readers – I don’t need you, or your comments. I know about root access in Linux based OS; and I know the security plus it brings. But I know as well that Linux is frequently updated for… yes vulnerabilities. And the risks coming from cross-platform applications. And the risks from e-mail and social networking sites. I can “armor” my Windows if I chose the right apps and know how to use them. I can’t with Linux. P.S. Thanks for such a long answer. It’s flattering to be called “20 something”, I wish it was true. You say that Linux is frequently updated for security flaws which is true. That’s one of the reasons that makes GNU Linux a more secure system. Holes are found frequently, corrected on the spot and released just as fast. Wish we could say the same about Windows right? I really like windows but I don’t feel safe with a system that is so unsecure that it takes an array of 3rd party software to fill in most of the gaps. And just to clarify, there’s software out there for Linux which enhances it’s defences but there’s less need to have them when the OS itself takes care of it’s weaknesses on a daily basis. Thank you for commenting on this issue. You’ve made some great points. Great article as usual. I couldn’t agree more with your explanation of why Windows is a risky proposition. I’m looking forward to your UBUNTU review. It should be a smash hit. Thanks Paul – appreciate the comment. Looks very interesting. Might wait for your follow up review before trying it out. Should have it up by next Saturday. Need to dig into the code a little more so I can get a better feel for it. Hey Bill, I liked the way you socked it to that Jose. It just makes me wonder why so many people have to scatter their senseless negativity to where it doesn’t belong. And contrary to that jerk, I’m so glad I finally got Ubuntu after trying so many times! One small problem is that I have to shut down my system before I can use it. I still say thanks. The world has gone mad with disrespect, but in my Blogging world I won’t have it. Making a point courteously, is a minimum expectation. Glad to hear that you’re giving Ubuntu a try. I did know that actually. It was a very cool idea for you to search out the root meaning of Ubuntu – that makes you are a very interesting fellow! Not many people would be curious enough to do that. We’ve on the same channel that’s for sure, and that’s very cool! I have always wondered about how easy it would be to try linux. I think you have convinced me to at least try it. As soon as I get a few extra minutes, I will put it on usb stick and test it out. I think you’ll have a little bit of fun with this. Testing on a USB stick is a very cool idea. Nice article, I have been thinking of installing the netbook edition of Ubuntu on one of my netbooks now that it can be installed along side Windows. I have used Jolicloud on my netbooks and I was impressed with it. It works very well out of the box on netbooks, since it was design for netbooks. Have any of your readers tried Ubuntu on netbooks? I would love to hear what they think. 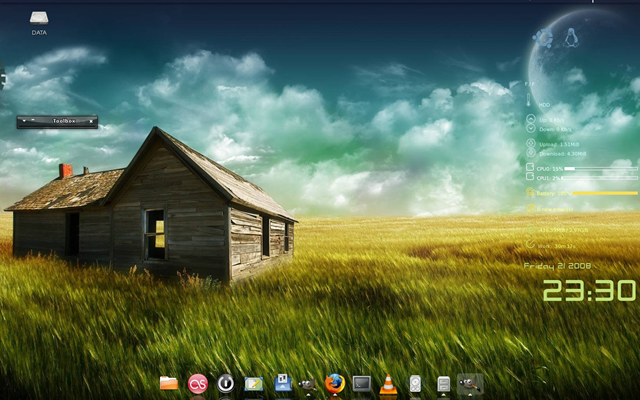 Here’s a link to a good article on Netbook Linux systems – Five Best Linux Netbook OSes – for Now ( http://www.linux.com/news/embedded-mobile/netbooks/308465-five-best-linux-netbook-oses-for-now ). BTW, how’s that guest article coming along? Although you did an excellent job explaining to Jose what’s what, I just wanted to add that there are in fact Anti-Virus programs for linux. While it’s true that most linux users don’t use an AV because of the reasons you stated, there are many different AV programs out there for linux. Most linux users that do use AV programs use them if they work and collaborate with windows users so they don’t accidentally pass on a virus(that cannot hurt them) to a windows machine. I however dont use it for that, nor do I run it all the time to block viruses either(I know there are viruses for linux, but like most users I feel it is highly unlikely that I’ll get one IF I’M CAREFULL) I do however fire the AV up once every month or two just to make sure I dont have one. And yes Jose you are correct Linux is VERY frequently updated and many of those updates are for security reasons, I didn’t know this was a bad thing however. No one will ever write an OS or a peice of software that is completely secure, therefore updates for security purposes are needed. The reason there are security updates so often for linux is that it is open source and the community files bug reports and fixes them often within hours of them being filed, as opposed to the windows way of doing things e.g. wait and issue the fix 9 months later as a service pack. Thank you for expanding on this Jack. Your comment “The reason there are security updates so often for Linux is that it is open source and the community files bug reports and fixes them often within hours of them being filed, as opposed to the windows way of doing things e.g. wait and issue the fix 9 months later as a service pack”, is particularly welcome. It certainly mirrors my own experience with open source software. I’ve been coming to this blog every day for about ten months. The reason for that is it was obvious from the start you know what you are talking about. I’ve been around long enough to know who is full of crap and who isn’t in regards to computing. So, if you say Ubuntu is something worth looking at, I probably will look at it. And if I don’t like it, I will say so, but in a polite manner. We are all adults, after all. Laughs… here we go again. Linux (or Mac, for that matter) are so good and superior, until we get down to detail and start to notice the flaws. No, you’re not sure because you don’t have the tools to confirm it. You don’t have Malwarebytes nor SAS nor A-Squared nor GMER nor HitmanPro nor… I could go on. And if you think that the AVs designed for Linux are effective… oh dear, oh dear. As to the VERY (as a previous poster put it) frequent updates, they tell only one thing: It’s a vulnerable OS, as all are. P.S. I was not going to post again in this thread, but people keep naming me; so I’ll keep answering. With Bill’s consent, obviously. BTW, I’ve been testing Hitman Pro – a very cool, and very fast application. HitmanPro is a very interesting application. Even when the 30 day trial expires you can still use it as a scanner (previously it would be scan and removal) and if it finds something just take note of the file path and kill it with Malwarebytes (free) FileAssassin (main interface/More Tools). oops… I missed this post. It deserves an answer, here it goes: I can’t help being “sarcastic and superior”. 1 It’s in my blood. I tried Ubuntu a few months ago. I have it set up to dual boot w/Windows. No offense but I am at a loss as to why anyone would want to run it unless they have an underpowered machine. The unfortunate truth is most programs I use are geared for Windows. Some of those critical programs I run simply won’t run on a linux machine. A well protected Windows machine is just as safe is it not? As Windows continues to evolve, it is becoming more and more tweakable (both 3rd party and inherent). I continue to log on to Ubuntu to play around with it (I didn’t have any problems with it recognizing my wireless setup). But for the times I need to just “get it done”, I have to use Windows. It’s true of course, that Ubuntu runs well on what you and I might call – an underpowered machine. But, in many parts of the world, that is the type of machine a typical user has access to (I know this directly from readers’ comments). So, in those cases, Ubuntu is the ideal OS. Better yet, it runs spectacularly well, in my view, on an upper end machine – including graphics. Like you, some of my applications are Windows specific, and there are no Ubuntu applications (at least that I’m aware of), that are directly transferable. On the other hand, fully 80% of what I use is already installed with Ubuntu. Tweaking Windows, for all intents and purposes, for most average users (which you surely are not), does little to improve the overall security effectiveness of a Windows machine, since more than 50% of current malware, attacks vulnerabilities in installed applications. No offense taken, but I haven’t used Windows for over a week now on the Internet, and I have no plans to do so anytime soon. I can be on the Internet in under 15 seconds from boot using Ubuntu, and i don’t have to worry about driveby downloads, or infected web pages, or……….. I have no intention of giving up on Windows, but until Windows undergoes a top to bottom redesign, and stops this nonsense with backward compatibility ( a major part of the security problem), I’ll do my surfing using Linux. I didn’t remember the underpowered machine factor. That’s a point. And it’s free. That’s another point. But the big point was made bt G: many apps are Windows specific (games are just one example). Is that the price of a near monopoly? Yes, but think of the great advantage: if you go to a friend’s or relative’s home, if you go to a foreign country, even if you go to a place where the alphabet is different like Russia or China, you can always sit down behind a keyboard and be familiar with what’s on the screen. I suppose there would always have to be a dominant OS. 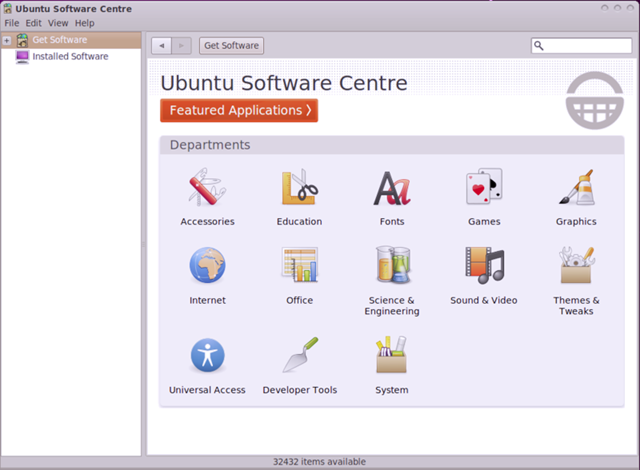 From within the Ubuntu Software Center there are 35,000+ applications available for download. While you mentioned G’s comment, you failed to mention the fact that I stated that 80% of the apps I use, are replaceable in Ubuntu. The non-replaceable apps are speciality apps, for use in Windows cyber security. Your point “Yes, but think of the great advantage: if you go to a friend’s or relative’s home”, is overstated. There are dozens of ways to take Ubuntu, or any version of Linux with you, including your own personal system. Checkout Mark’s comment, or read Lifehackers article from today, on how to do just that. I think we’ve reached a point here where continued discussion is pointless – you have your view (let’s leave it at that). I was waiting for you to say this Bill. I’ve been through a lot of debates (mostly religious) before and when I notice that we’re just going on circles because someone just kept on insisting his pointless point, I end the debate. In a discussion, someone who deserves to concede must concede. Good point Pochp. Thanks for that. My biggest problem with Windows is the bloat. Linux machines are so much more streamlined and simple. I welcome the day when open source rules the day and an OS is no longer the means to an end but rather the tool to facilitate. Like I said, I’ve been tooling around a bit with Ubuntu for a few months now. I look forward to more articles from you on your Linux travels! Nicely put – “I welcome the day when open source rules the day and an OS is no longer the means to an end but rather the tool to facilitate.” I’ll second that in a heartbeat. It’s true that there’s no safe OS, like Jose says, and I always want to laugh for everytime I see a Mac-User saying how secure his Mac is. But it’s also fact, that there isn’t much malware for linux so the chance that you get one is very low. And should you however find a linux-malware you still have to run it with root-rights. Btw. I myself don’t use Ubuntu as an answer to security, I use it because I like to play arround with Linux and love to customize it to my needs. Malware was no problem for my on Windows ans so it won’t be a problem on Ubuntu. @Bill: If you’re searching a linux alternative for a windows software you should look at http://www.osalt.com. I’ve found open source apps for almost everything I used. I made this switch some time ago and now I drag MY feet whenever I find myself needing to boot up Windows. The speed and stability is amazing. Downfalls? Working with proprietary codecs is a bit annoying. This makes video editing frustrating. I had a tough time getting my print drivers to work right and I stall can’t print. Other than that, you’re right. When it comes to interacting with the Internet, Windows is by the wayside! Thanks for the support – much appreciated. Note to readers: Tim is an IT professional, and a staff author over at Makeuseof.com. Take a run over to http://www.makeuseof.com/ and checkout some of Tim’s professional articles. I use to write for Makeuseof myself, until time constraints made it impossible to write for them, and this Blog as well. Thanks for the props! IT professional may be harsh words to describe me:) I’m more of a coulda-shoulda-woulda been IT professional. Perhaps IT hobbyist would better suit me? Thanks for the link. The article, still working on it, think I am over thinking though. But it will be coming your way soon. I hear ya – I do the same myself. No rush – whenever you have a chance will be cool. great article bill. i have all my PCs at home fully installed with ubuntu with no dual booting to windows. the constant maintenace of security software and the nagging feeling that i am not totally secure in windows environment was the catalyst. i have been toying with linux for a few years before and my missus would always tease me for it but she understands why i do it and as long as she can access her facebook account she is happy :). i build my PCs and ubuntu is an excellent software to install without buying a fresh copy of windows. i still use windows at work and support my windows using friends :(. that is why i visit your blog for some excellent apps i can use to help my friends with their windows security issues. i thought you are a complete windows advocate thus all your windows security apps reviews but this post changed all that. good to know even those i respect are also using ubuntu. Just like you, questionable security in the Windows environment (no matter the protection), drove me to seek out an alternative. I’m very glad that I did, and I’m sorry I didn’t do so sooner. I haven’t been on the Internet in Windows, (except briefly today), since I installed Ubuntu. 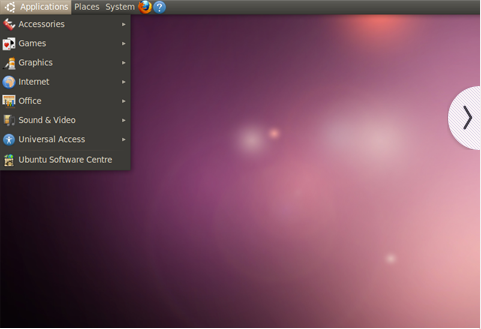 Ubuntu 10.4 is an incredible OS, and I’m totally enthralled!. I dig into it a little more each day, and I find it fascinating. Thank you for commenting. It’s very cool having another expert offer support for Ubuntu. Well, thank you Bokawel. It does drop a few years off. I tell you Bill… 25 years didn’t teach you enough. I was right from the beginning. Remember the beginning? When I called your attention for the fact that ThreatFire was not a HIPS, but a Behaviour Blocker. Subtle difference isn’t it? But you didn’t like the observation. Feel free to be rude again (as you have in this very thread), I’ll try to retort with my “20 something”. Or I’ll just try to keep reading this blog and stop posting… I’ve noticed it annoys you. In all the comments here, there isn’t a single person who agrees with you. Out of 2,800 readers of this article to date, YOU are the only one who showed negativity. The 600+ readers who have downloaded Ubuntu through here, obviously don’t agree with you. The editors of the seven other sites, including Ubuntu News, who linked back to this article, don’t agree with you. I’ll let these numbers do the talking. As for ThreatFire not being a HIPS application you weren’t right there either. I enjoy your blog very much. I’ve been in computers since 1978 when I talked my way into operating mainframe computers for a bank, three weeks out of high school! 🙂 I started with an Apple clone, then a Commodore 128. My first taste of IBM was with a Tandy 1000, so I’ve been working with the PC’s since DOS 1.0 until now. A couple of years ago, I also got tired of building a new system simply because Windows was becoming so bloated. I also got tired of constantly installing various combinations of security applications just to have a reasonable chance at surviving the Internet intact! I began investigating Linux and tried myriad flavors before finally settling on Ubuntu. I liked Linux Mint, but stopped using it after one of the main guys posted saying he didn’t want anyone to use or contribute to his distro if they supported Israel. I’ve been very happy, and my system that I built 5 years ago is as fast or faster than new machines I build for clients that are running Windows 7. The difference between Windows security and Linux security is that while both systems can become infected, with Linux you have to really be determined to get infected, and with Windows, you have to be really determined NOT to get infected! Ubuntu 10.04 is fast and stable, recognized all my hardware out of the box, and it even installed the drivers for my wireless printer with no interaction from me! I went to add a printer, and it was there already! I don’t have a TV – I use my system to watch all the shows I like via Hulu or going to the network’s site, and haven’t had very many problems with not being able to view anything. I’ve been fortunate to be able to do everything I need in Ubuntu. I don’t play games, so that isn’t an issue, although I know many people who have had great luck with WINE and some other programs that are specifically designed to run Windows games under Linux and they claim they get more stability and speed than running in native Windows. 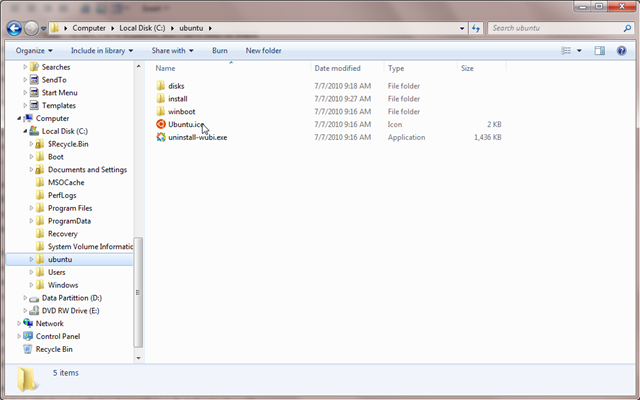 I have VirtualBox with all flavors of Windows installed, but that is only for figuring things out for clients. Thanks for exposing your readers to Ubuntu, and hopefully as interest builds, more and more companies will start developing hardware and software with Linux in mind! “With Linux you have to really be determined to get infected, and with Windows, you have to be really determined NOT to get infected!” – I have never heard it put more succinctly! Absolutely agree. We both have essentially the same experience with PCs including DOS 1.0, and a Tandy 1000. Interesting. I expect to write many more articles on Linux, as my experience level under the hood, develops. know the …why, before I install and run some new program. I agree with your point, of course – “I’d like to know the …why, before I install and run some new program.” To be clear however; this article dealt with one specific – Ubuntu is safer on the Internet than Windows. I think you’ll find, that the majority of reader comments are supportive of this position. It was not intended to be a full review of Ubuntu, as I noted in the article. *Note:* A follow-up full review of Ubuntu is in the works, and should be posted here in the next week, or so. You’re getting a lot of flak here from Windows supporters because you hit a raw nerve -Ubuntu is a perfect alternative to Windows. What they need to experience is the hell from Windows which I’m still going thru until now. The only reason why Windows is still my primary OS is that I don’t want to use up my disk space. Another OS would eat up a lot of that. But one more disgusting foul-up from Windows and it’s Ubuntu forever for me. Why don’t you try one of the Linux Live CDs? That way there’s no need to install – simply run from the CD. The version of Ubuntu I wrote about will run from a Live CD. Might be a little slower, but still worth while. I like to do that but Acer netbooks don’t have CD players but I can do that on my Vaio laptop. And I think I got the possible Microsoft/Acer Aspire strategy on why Acer switched to Windows 7 Starter from Ubuntu. When people buy Aspire, they get installed W7S. So WHY did Acer switch to W7S? It’s a very simple advertisement strategy! If people liked W7S, they will of course switch and buy W7 Premium. Acer gets paid for the ad and MS sells -they both win except those buyers like me who didn’t like W7Starter which they also paid for. Neat isn’t it? As they say, when money talks, things move -especially for the greedy. You’ve made some excellent points. There’s no doubt about it – money talks. You can also install a live CD on a thumb drive. 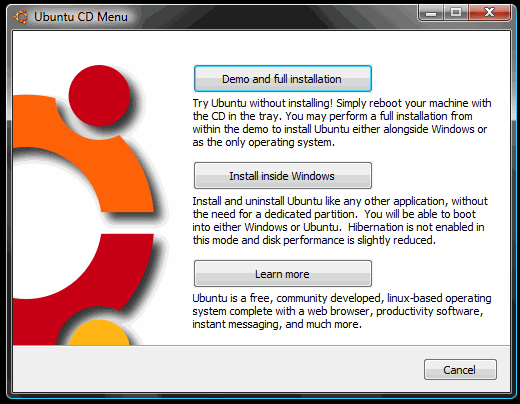 The Ubuntu download page offers quick instructions on how to do it. i learned to use a computer with windows 3.0 and kept using windows until windows XP. started with linux using opensuse, tried several others (you name it and i might have tried it) and ended up with ubuntu some two years ago and i just love every bit of my computing experience since then. as i recall, i just laughed at my experiences and you have to hear this: i came to a point where i have to bully and coerce my 16 year old daughter for me to be able to install ubuntu in our desktop at home. lots of argument follows but i had it my way (lol). but now, my daughter will not even like the idea of having windows on her laptop! I have to tell you, I’m totally delighted I’m dual booting Ubuntu – I’m having a blast, and I feel so much safer on the Internet. I do not intend to just visit your blog site. I will be definitely be following it from now on. Thanks for being nice. Always happy to have you visit. I have to say apart from a small glitch with it recognising my wireles card I have had no problems. I sorted the wireless issue easily enough using the labrinth of online forums to find a solution. It has taken a little getting used to but I am really impressed and my netbook runs much better. I am now thinking of running it with Windows on my notebook as Vista is so very slow. P.S. I am guessing due to the limited capabilites of a netbook the second desktop set up (the one with the house and the blowing grass) you have shown isn’t available? It looks really good. Actually, the first time I was in your part of the World was in 1976 (Saudi, Kuwait, Dubai, Sharma…) Great business trip, great people. You switched back in the XP days, eh? For me Vista was the tipping point. When the OS hogs so much memory that new computers run too slow, there’s a problem. My current lappy only came with 1 gig of RAM and Vista. I doubled the RAM and rebooting still takes forever.